Description: The good news is that you have inherited thousands…of God's promises! Charles Spurgeon discusses many of the provisions God has made for all of His children, including unconditional love, everlasting life, a sense of belonging, purpose for living, spiritual guidance, pardon for sin, and unshakable faith. 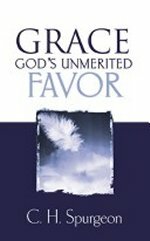 As you learn to accept God's free grace instead of trying to earn His favor, you will discover a wonderful security, peace, and richness in your life.